No matter how gently I wash my face or tap in my serum, my face is always red and blotchy when I wake up. YUCK! 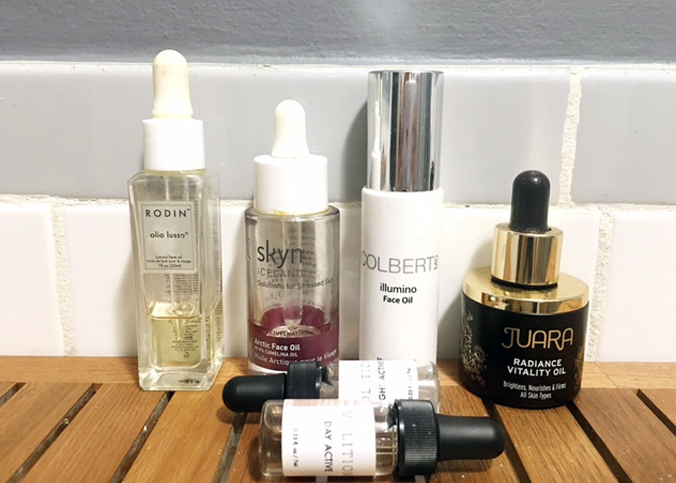 Here are a few tips I’ve found that work for me when trying to calm and conceal redness. Moisturize – Your overall skin texture can effect redness, which is why it’s so important to use the proper moisturizer. Make sure that if you have oily skin that you use an oil-free moisturizer or all these steps won’t be worth much to you! 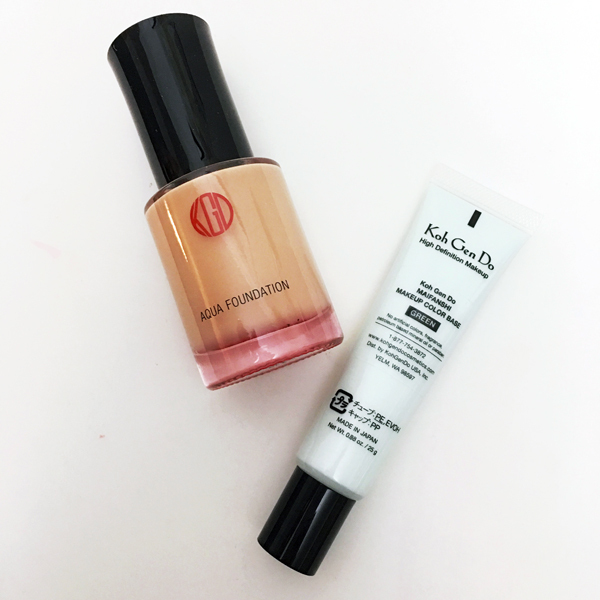 Prime & Color Correct – Once your moisturizer sets in, apply a color correcting base to smooth the surface and blur the redness. My personal favorite is Koh Gen Do Maifanshi Makeup Color Base in green which creates a silky, smooth base for foundation and counteracts discoloration in the skin. While the bases are available in yellow (brightening), pearl white (luminescence), and lavender-pink (sallow/dull skin), the green is specifically designed to reduce the appearance of redness causes by rosacea and irritation. Choose the Right Foundation – With so many foundations on the market how is a girl to choose? Because of my skin’s redness, I choose a full coverage foundation like Koh Gen Do Aqua Foundation which is a high-definition, long-wearing mineral foundation that smoothes and covers imperfections while feeling weightless and comfortable. Since it’s formulated without Parabens, Sulfates, Phthalates, contains no artificial colors, fragrances or mineral oil you know that once it’s removed it won’t cause your skin to become more inflamed or agitated.